Eleaf introduces five new kinds of stickers for you to protect and personalize your iStick 50W. The pattern is elaborate designed and will definitely popularize the device. 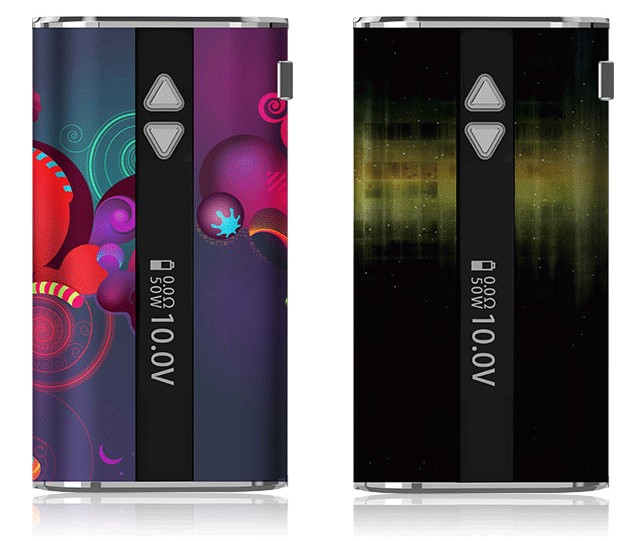 Now, gently paste them on iStick 50W to avoid abrasion outside and you will become a fashionable vaper.